The balcony not only adds aesthetic value to your house but, also provides extra space where occupants of the building can relax, away from the internal environment. Considering all these benefits, the balcony is an important component of the building, which should be kept dry and in proper condition at all times. However, the fact that a balcony is constructed on the external parts of the building makes it vulnerable to damage from a variety of factors including, weather and environmental conditions. There are several elements that can damage your balcony including, rainfall, heat, and cracks. One of the most suitable approaches to avoiding these conditions from causing damage to your balcony is proper balcony waterproofing. But, the procedure must be done by an expert for the best results. And, Waterproofing Singapore are the experts to trust for professional balcony waterproofing solutions Singapore. We offer tailor made balcony waterproofing services for homes as well as commercial buildings. Water is usually the main cause of damage and deterioration to balconies. Once the water starts to seep into the balcony through small cracks on the floor or walls, it will not be long before moisture builds up in the cracks, weakening the balcony and other parts of the building. But, these threats can be easily avoided if the balcony is properly waterproofed. Proper balcony waterproofing provides a better cushioning against elements of damage like, cracks. If the procedure is done right and, using quality waterproofing materials, you will be able to prevent cases of leaks and cracks that could compromise the building’s credibility. The long term benefit is a strong and long lasting structure. Since balcony waterproofing can effectively prevent leaks and cracks, you will not be subjected to frequent repair and maintenance. As a result of this, you are able to save quite a lot of money for other important projects. Balconies that are poorly or not waterproofed at all can expose users of the building to a series of threats including, accidents and health conditions. Without waterproofing, the balcony is likely to experience dampness, which can easily attract molds and fungi. These can impact allergies and other infections. 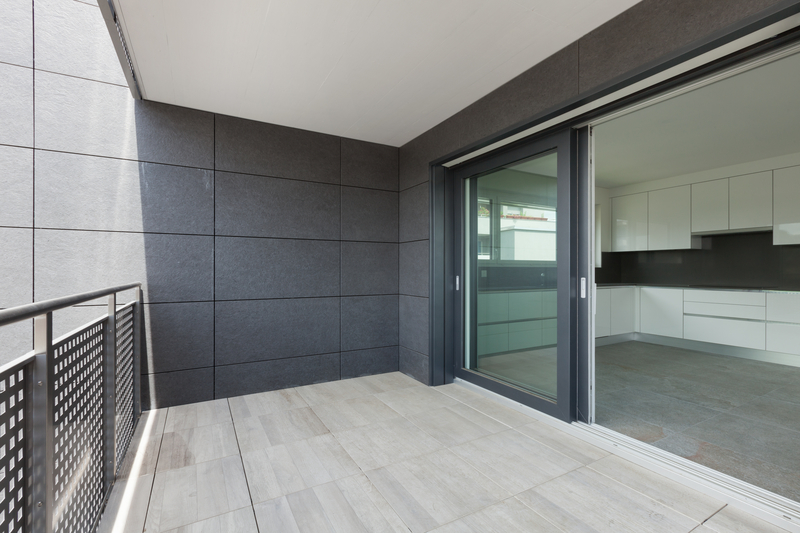 Contrary to what some people usually tend to think, balcony waterproofing is a procedure that is quite elaborate and, entails a lot of things. Successful balcony waterproofing requires a proper understanding of effective waterproofing techniques and materials. On your own, these are requirements that can be very challenging to meet. That is the reason you should always leave the task of balcony waterproofing to our experts. We specialize in all-inclusive balcony waterproofing solutions for homes and commercial establishments. Whenever you hire us for balcony waterproofing, we always start with an evaluation of the area to be worked on. We have a team of waterproofing specialists that can be sent to your property on short notice for a thorough inspection before the procedures are administered. The reason why we recommend the inspection is to enable us diagnose all the problems experienced for appropriate solutions. Whether it is just a minor leak or slight crack, we will thoroughly inspect the entire balcony so as to know all the affected areas and extent of damage beforehand. After the inspection, we will discuss with you about all the hitches unearthed and suitable waterproofing procedures to be administered. This ensures that all our clients have a better understanding of what to expect from our balcony waterproofing services. While performing balcony waterproofing, we keep in mind the fact that the construction and design of balconies vary from one building to another. Thus, we always give each project a unique treatment tailored to the particular problems being experienced and specific customer demands. There are numerous approaches that we can pursue during balcony waterproofing. The next step after inspection is choosing suitable waterproofing materials and techniques. Sometimes, customers come with made up minds on the particular waterproofing materials to be used on their property. There are also occasions whereby you may not know the right waterproofing materials and techniques for your balcony. In both cases, we always recommend that you leave it to us to determine and apply the most effective balcony waterproofing approach. Our specialists are conversant with a wide range of balcony waterproofing materials and methods to always deliver lasting solutions. Some of the key materials and procedures that we can apply for the restoration of your balcony include, liquid waterproofing, bitumen waterproofing, bentonite waterproofing, waterproof paints, waterproofing sealants and rubber waterproofing among others. Depending on state of the balcony and your recommendations, we will always choose the most appropriate balcony waterproofing materials and methods. In case you are constructing a new home or industrial complex, our company can still provide the best balcony waterproofing. In fact, it is always advisable that balcony waterproofing is done at the time of construction to save you from frequent repairs and maintenance. Our company is fully-fledged with adequate personnel, materials and tools for the job. This has enabled us to always handle all kinds of balcony waterproofing projects faster for convenience. Whether you have just a small balcony in the home or expansive patios on commercial buildings, we can provide the ultimate waterproofing solutions. Unlike in the past when people had to make numerous trips and calls to a waterproofing service providers, Waterproofing Singapore is giving you the opportunity to now acquire professional balcony waterproofing services at your own convenience. Whenever you rely on us, there is always a guarantee of tailor-made and affordable balcony waterproofing solutions. For a free balcony waterproofing estimate, do not hesitate to talk to us.